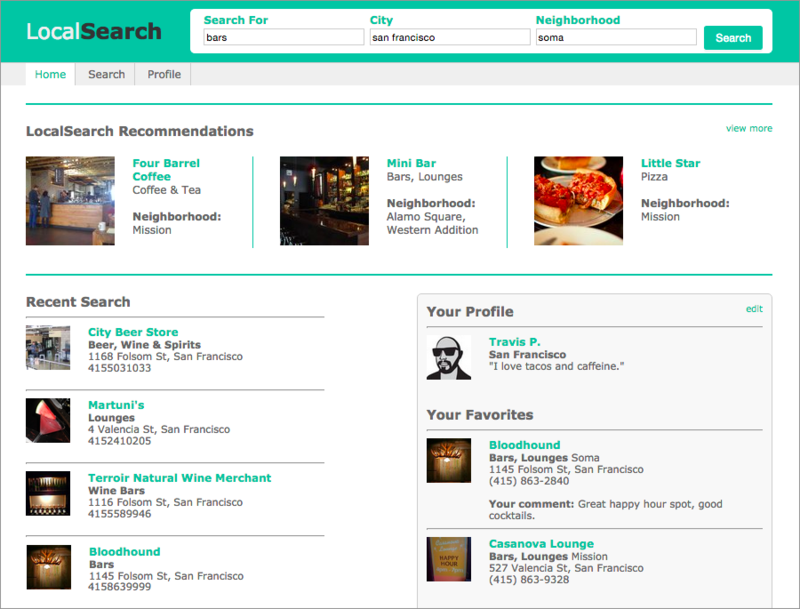 Search interface for finding information on local businesses. Started as a proposed redesign of the Yelp list editor, and evolved into a redesign of Yelp with an emphasis on local search rather than reviews. 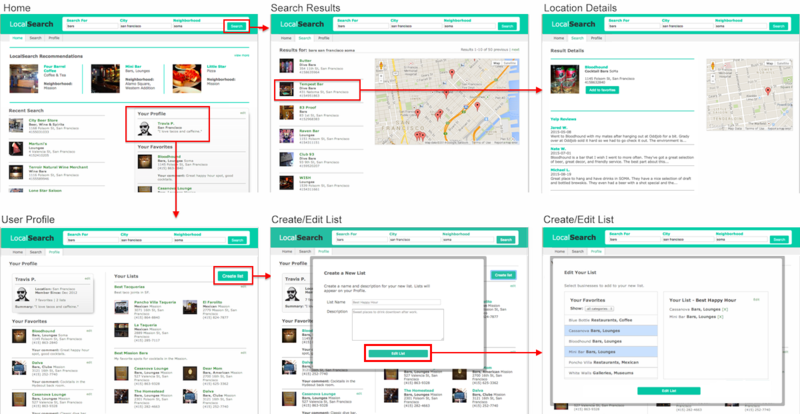 Source data is a mashup of Yelp Search API and Google Maps API. After a contract working on the Yelp list editor, I became interested in what the experience would be like if it was repositioned as a local business search tool (which is my primary use case for the service) rather than its current emphasis on reviews. I iterated the protoype I had put together for the former project to create the following demo. The default home page is a summary of recent search activity, plus user recommendations based on past searches and a user profile summary. 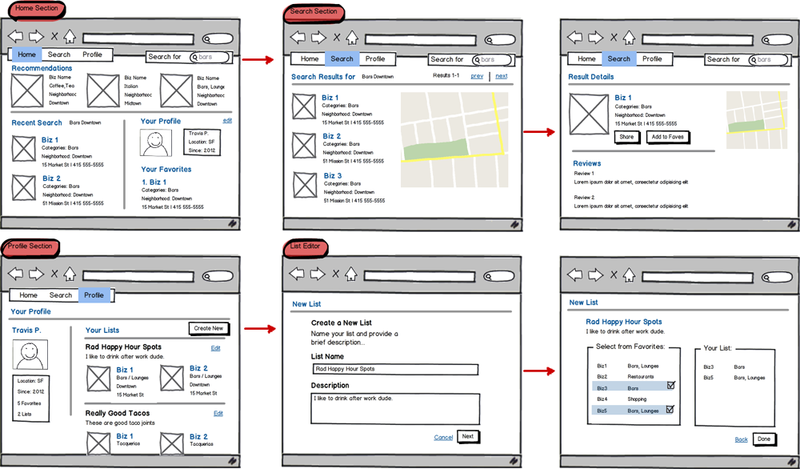 Searching is the primary use case, and the glogal search feature is persistant site-wide in the header. Submitting a search query displays results in list and map format, and selecting a specific result displays a details page for that listing. The profile page shows a summary of the user's profile details, including businesses the user has added to their favorites, as well as lists created from favorites.